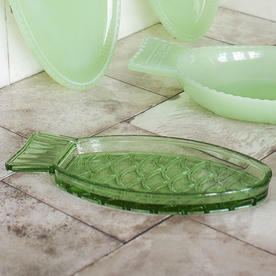 Delightful glass Fish & Fish serving dish. 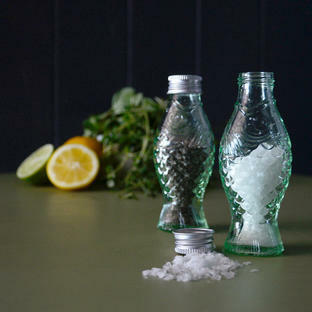 Fish & Fish was inspired by the tastes and colours of Italian designer Paola Navone's many travels and is based on the products made during the Great Depression in the 1930s. 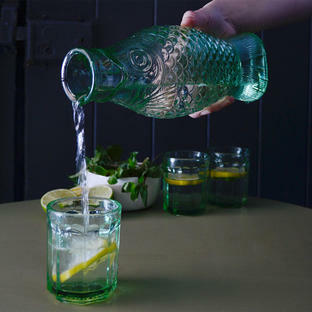 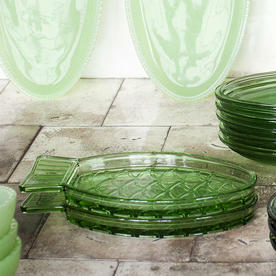 Easy, solid and meticulously designed, this glass collection will find its way on to all types of table tops. 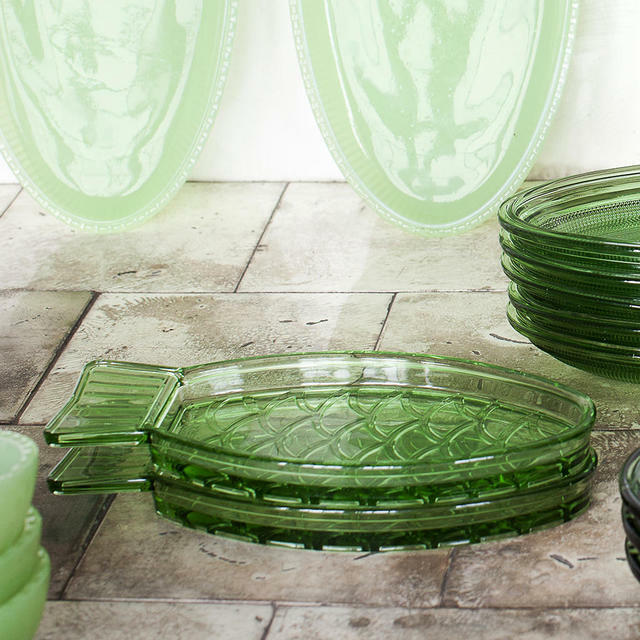 The platters, glasses and bottles are made of pressed glass in Jadeite green, and bear the Italian designer’s distinctive hallmarks: original, unique and colourful. 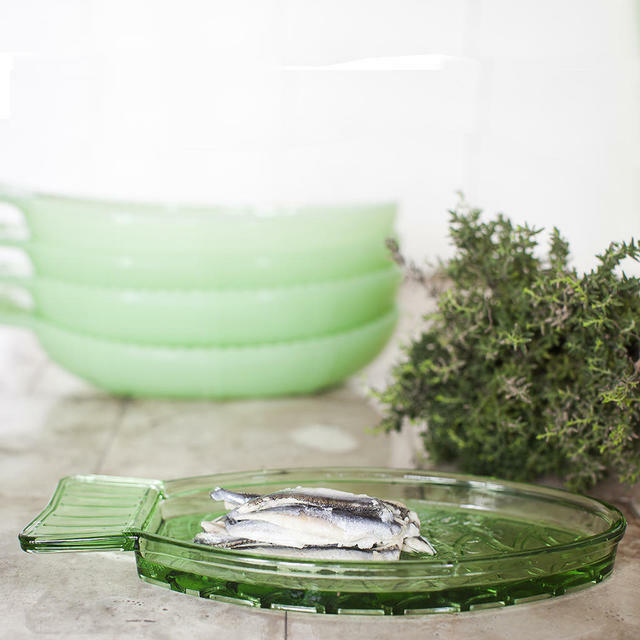 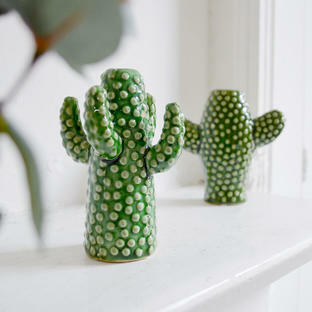 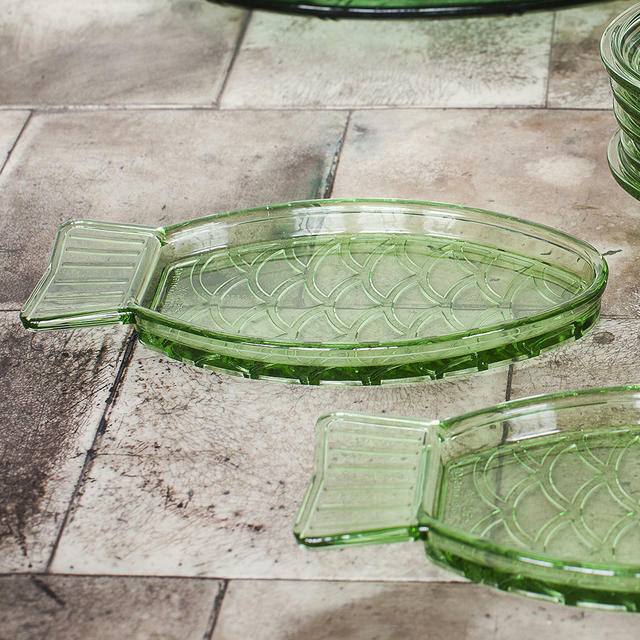 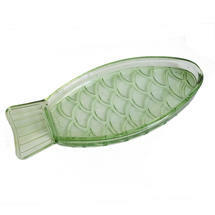 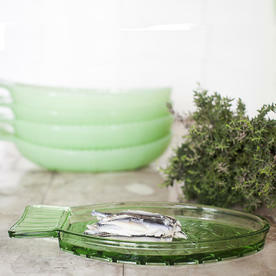 The green glass fish-shaped serving dish is perfect for aperitif nibbles such as olives, anchovies or salted almonds.